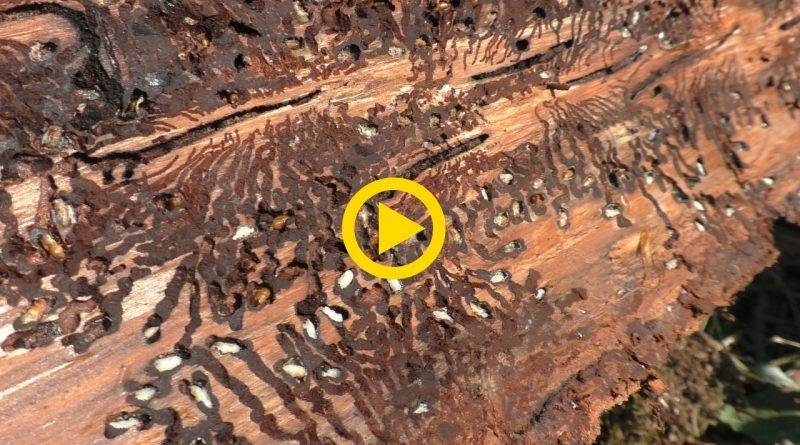 You see some points in the life of a barkbeetle. First you see mommy barkbeetle drilling a hole to lay the eggs. Then you see the white kiddies eating and drilling longer holes. And some brown beetle teens getting ready to leave the hous and conquer the world (=woods).